Phil Thompson is feeling ever so slightly disarmed by the general sense of serenity surrounding Liverpool's Champions League quarter-final clash with Porto. Speaking on Tuesday's OTB AM, the three-time European Cup winner with Liverpool admitted that the build-up to tonight's first-leg had been oddly muted. "I've just been thinking it this morning," Thompson admitted. "I was just having my breakfast and I was thinking, 'This is not the way it should be' - it makes me a little bit more nervous. "Normally as you know with us Liverpool fans, the social media stuff, rallying the troops, everybody's getting ready ... and I'm going, 'My goodness, we need to get up for this." An understandable consequence of Liverpool's push for Premier League success, perhaps, Thompson nevertheless stressed the importance of not underestimating their Portuguese opponents. "I'm certainly hoping the players will be [up for it]," Thompson stressed, "and Jurgen [Klopp] and his staff, they have to maybe sense it, feel it and try and get them up for it"
"As we've seen of late, when Liverpool should be winning we've not really turned up as we should be and we're just getting through. "This is absolutely huge, and Porto should not be taken for granted at all and you have to be ready to meet it head on. "Yes it was a good draw, but you have to be up for it and motivated." Having beaten Porto on an aggregate scoreline of 5-0 during last year's run to a Champions League final, Liverpool will undoubtedly feel they have what it takes to progress to this year's semi-final. 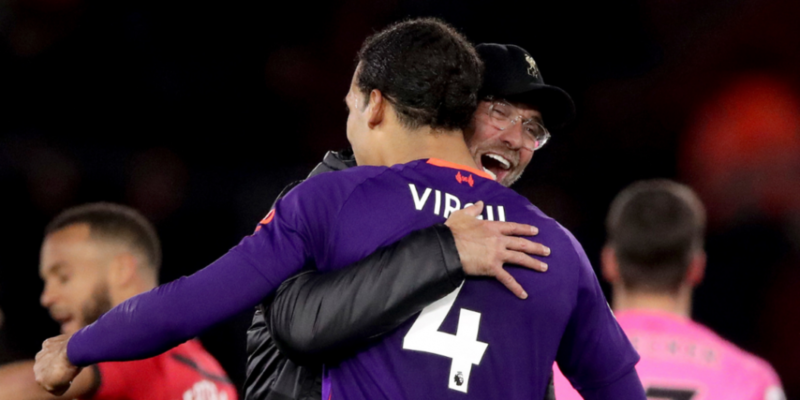 For all that he is concerned of the subdued build-up to this evening's first-leg, Thompson nevertheless believes Liverpool will win 2-0 and safely progress to the next round of the competition.